VISIT OUR 5 TOLEDO AREA LOCATIONS! Earl Bros.’ Renhill location is conveniently located in West Toledo, near the Whitmer-Trilby, Wernerts Corners, Deveaux and Five Points areas. Scroll down to view our map. We look forward to your visit! Toledo Transmission Repair, Car Maintenance & Service Specialist, providing professional Transmission Repair & Service for Toledo & Northwest Ohio Automobile Owners Since 1933. 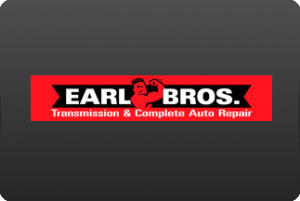 Because you deserve the best for your car, Earl Bros. offers a complete line of auto repair and maintenance services. 25 Years Of ASE Certified Technicians On Site! 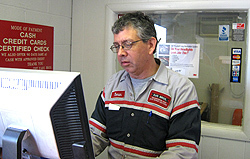 Friendly And Knowledgeable Staff To Accommodate All Of Your Automotive Service Needs! We strive to create repeat customers and always provide you with dependable, quality services. We never try to sell you something you don’t want or need, and we guarantee all of our work. With free transmission checks, free towing and nearly thirty years of transmission rebuilding experience behind us, you just can’t go wrong! Please call us at 419.476.6688 for additional details regarding how we can get your vehicle to run effortlessly. We care about our customers & provide excellence in our car repair, maintenance & transmission repair services. 5 Toledo Area Earl Bros. Locations!